The Internet has created a new and dangerous form of hypochondria that extends not only from online diagnosis but to treatment as well. Many people are hooked on the internet and believe that it can provide answers to all their questions and needs. Online diagnosis is becoming commonplace. 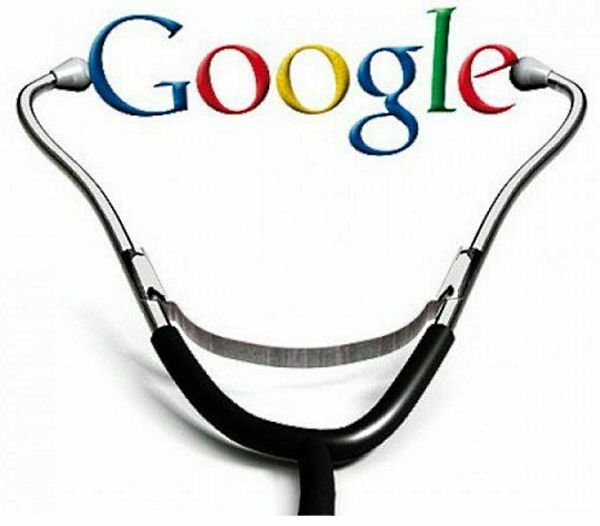 People who are worried about an ailment or symptom go online for to search for details. While getting information about various ailments can be helpful, especially when many doctors tell you very little, there are huge risks of misdiagnosis and a tendency for hypochondria. Worse still, many people search for treatments online and buy various drugs and other remedies or cures. This can be risky and dangerous. Cyberchondria is hypochondria on steroids fed by online searches. While the term is used in many different ways, often incorrectly, it generally refers to the anxiety that occurs when people search for health information about their symptoms online, becomes more anxious with the results, which in turn leads to more searching and more anxiety. There are many possible causes for symptoms such as 'lower back pain on the right side. The results are numerous - Kidneys and renal problems, Liver disease - hepatitis, cirrhosis, hip joint problems, disk vertebrae problems, or a simple strain. Many people think the worst, and may conclude that they have symptoms of a serious disease such as cancer or kidney failure. This generates more anxiety, more searches and quests for cures and remedies. There can be escalating concern and more desperate hunts for what may be worse case scenarios. Cyberchondria has been defined as repeated or excessive online searching for health-related or diagnosis information, which is triggered by a concern about health, but which causes worsening anxiety, concern and uncertainty. A recent article in the journal, World Psychiatry, the authors discusses how the digital age has created a number of new psychological problems: Cyberchondria, Cyber-stalking and Cyber-bullying. ► If people scare themselves by identifying possible causes of their symptoms and this triggers a visit to their GP, perhaps this is a good thing. ► The other issue is to make people aware of the varying credibility of online information and how it should be distrusted. But this is a difficult task. Google recently teamed up with the Mayo Clinic in the US to produce search result information cards on the top of the page that showed medically verified information for a list of more than 400 medical conditions. This could be interpreted as an advantage or a disadvantage, but at least the information is accurate and verified. ► People who research their symptoms online may wrongly identify other symptoms, or come up with a comprehensive list to present to their doctor, which may confuse the correct diagnosis. Doctors may struggle to convince patients that they do not have a disease, when they arrived convinced from their online diagnosis. Doctors need to change their attitude to the phenomenon of online diagnosis and develop skills to convince their patients that their recommendations are correct. The age of the ignorant patient has well and truly gone in the digital age. ► Anxiety induced medical diagnosis information often arises not from the results obtained but from the specifics of the questions asked. If you ask the wrong question the answer may inevitably be wrong and unrelated to your symptoms.People need better advice on how to develop strategies for searching for information. ► The problem of promoted and enhanced anxiety may arise because of problems of relevance in the search results. Research has shown that generally only 30% of the first 10 results for most health-related queries about symptoms are directly relevant. Similarly the likely causes of the symptoms may not be ranked according to likelihood. The challenge is to find better ways to pose the queries so that the results are relevant and don't cause undue anxiety. Many people cannot handle or tolerate uncertainty which lead to more and more searches about diseases and possible causes. 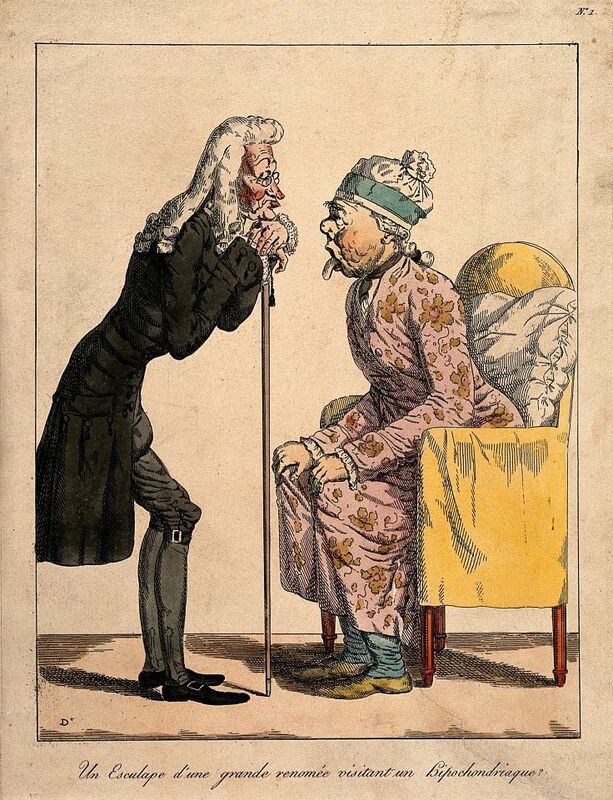 A bored physician looks at the tongue of an old lady; suggesting the waste of physician's time by hypochondriacs. Color etching. 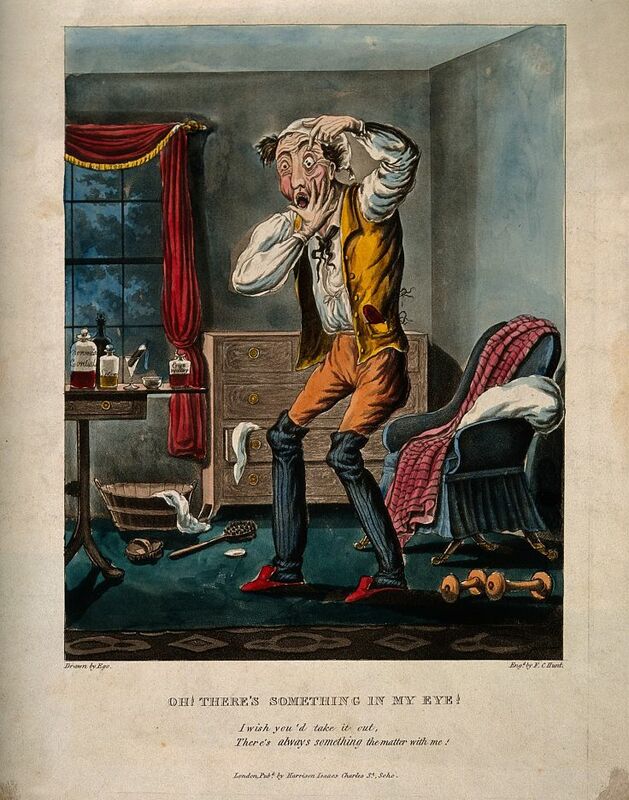 A hypochondriac imagining himself being prepared for burial. 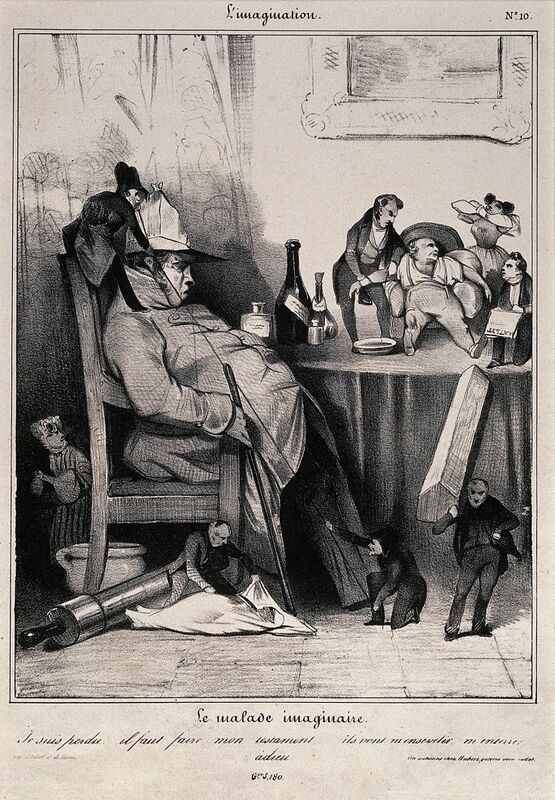 Lithograph by H. Daumier, 1833.